Close attention is given to the course for the 'Roll in the Hay' event. 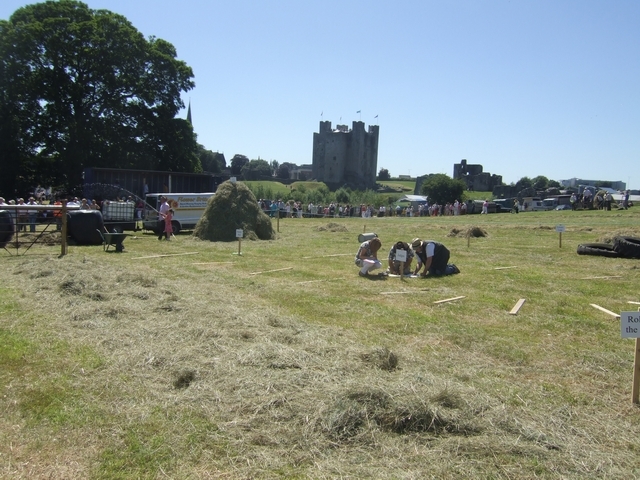 The newly mown meadow hosts the annual Haymaking Festival. Trim castle lies across the River Boyne.